Butterbees and Bumbleflies – Page 3 – One mom's journey through the crazy world that is parenthood. This post has been a LONG time in coming. Life has a way of picking us up and carrying us past goals and deadlines quicker than we expect. And this post has been one of those experiences. Real life around here has been busy. To say the least. Not only does the laundry keep piling itself higher and higher, but there’s working from home… keeping the house clean… and those two little ones that have to be cleaned and fed, too. Homeschool is going well, though I’m glad that at the moment the light at the end of the tunnel doesn’t appear to be a freight train. Becca will start to a charter school in the fall. Maybe then I’ll finally have time to go back and blog all of the units we have done this year… maybe. Lately I’ve been discussing with some friends the difference between this new buzz-term “process art” vs the age-old “crafts” – and why I believe that both have a very important place in the lives of our children. So, let’s talk about it. And then later this week, I’m going to share with you a really fun (and messy!) process art idea, that will result in some amazing paper… that you can use for crafts! If you aren’t familiar with the terms, let me step back for a moment and share. Process Art is a term given to art work that is done merely for the experience of the process – the end result is inconsequential. Process Art is all about FEELING the art, taking it all in with every one of the five senses. And it’s about expression. Letting your emotions and your thoughts go wild into this amazing art experience. Process Art is beautiful. Painting, coloring, pottery, glass blowing, and tile mosaics are all examples of process art. So what, then, is a craft? Crafts have a set end result. They have a final goal in mind. Crafts typically follow a pattern. 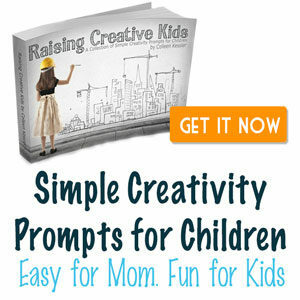 Color by number, paper crafts, card making/scrapbooking with a template, sticker mosaics, origami, and making those adorable little activities cut from paper with kids are all a type of craft. When doing a craft, you typically view the end product, and expect that the product you create will look very similar to that product. I have many friends who go to card making classes where everyone creates the same cards, and wreath making classes where they all end up with the same wreath. When I taught, I frequently used crafts for my students for holidays and we would all create similar looking products to hang in the hallway. They are beautiful and even though they are the “same”, they do have a touch of the creator in each of them, causing them to have little unique features. But, it’s because of the “sameness” that many people say children should ONLY be taught using Process Art. They believe they should experience art to its fullest and put all of their emotions and feelings into their art, and learn that any end product is beautiful when it’s a reflection of their inner expression. I agree with part of this. My kids LOVE to create art. They love to get messy with their art. And they, like all children, don’t like to be told what to do. They love to change things up as much as possible. They enjoy an open invitation to art – where, for example, there’s paper, paint, and cars on the table and they can just do whatever comes naturally to them. And those times are VITAL to their creative expression!! Check out this blast from the past – Painting with Cars! But it’s also very important that they learn to follow directions, and that they come to realize how to get from point A to point B to reach an end goal. This is where I believe crafts falling by the wayside is a travesty and a disservice to the next generation. I love to paint. But on my own, without instruction, I’m rarely happy with my end product. I crave instruction, and learn more technique and gain more experience with every trip I take to Painting With a Twist (read more about them in my previous blog post here). But here’s the REAL twist – y’all, PWAT is the perfect example of combining process art with a craft. Because you see the end product, and you follow directions to get to the end result… and yet, you’re able to make changes. You can “go rogue” any time you want. You can switch up the colors, and in the process of following directions to mix colors, you come up with your own shades. And in the process of following directions to place items certain locations on the canvas, your own flair and the shake of your own hand makes the canvas’ end product uniquely yours. At Painting With A Twist, we each follow directions to create a similar product, though each is unique to the painter. So is there a place for those step-by-step/follow directions/ adorable little groundhog faces made from an upside down heart, and leprechauns made from shamrocks, and First Thanksgiving books made from millions of pieces of paper cut to certain specific sizes? YES!!! Our kids NEED to know how to follow directions, how to work to reach an end goal, and need to learn when it’s ok to tweak those instructions to make the end product uniquely theirs. In other words, there is a place for both art AND crafts in this world. Look at the amazing crochet hats and blankets folks make. The incredible needlepoint works. And look at Van Gogh and Picasso. There has always been room in the past for both. I’m not real sure why folks now, in 2017, are trying to do away with crafts – an art form that has easily existed alongside “Process Art” for thousands of years. Why not encourage our children to do a healthy helping of each? And seriously – is there a mom of a 2 year old anywhere in this world that wouldn’t love hanging this adorable craft on her fridge? I doubt it! So later this week, I hope you will check back here for a super fun Process Art activity… and some ways to use the product in some really cute crafts! She stood and looked out of her window. And she prayed. To a God she had only just heard of. She didn’t know why, but the men she had hidden had something about them that made them different. Maybe it was because they trusted HER. Maybe it was because her past didn’t seem to matter to them. Maybe it was because their God really was her God, too, and in His providence He had brought them to her door. Surely that must be it! This God they served had to be real. Only time would tell. Her family thought she was crazy. How could a scarlet cord as red as her sins hanging from their window possibly save their lives? Perhaps she had cousins who denied and did their own thing. Perhaps even her own parents and some of her own children did not even believe. We will never know. And yet, she prayed. Despite what everyone thought of her, she stopped and stared out of her window and waited. The Israelites were coming. She could see them marching. In the distance, they looked like a thousand ants swarming. The people in the city were talking. Everyone knew they were coming. 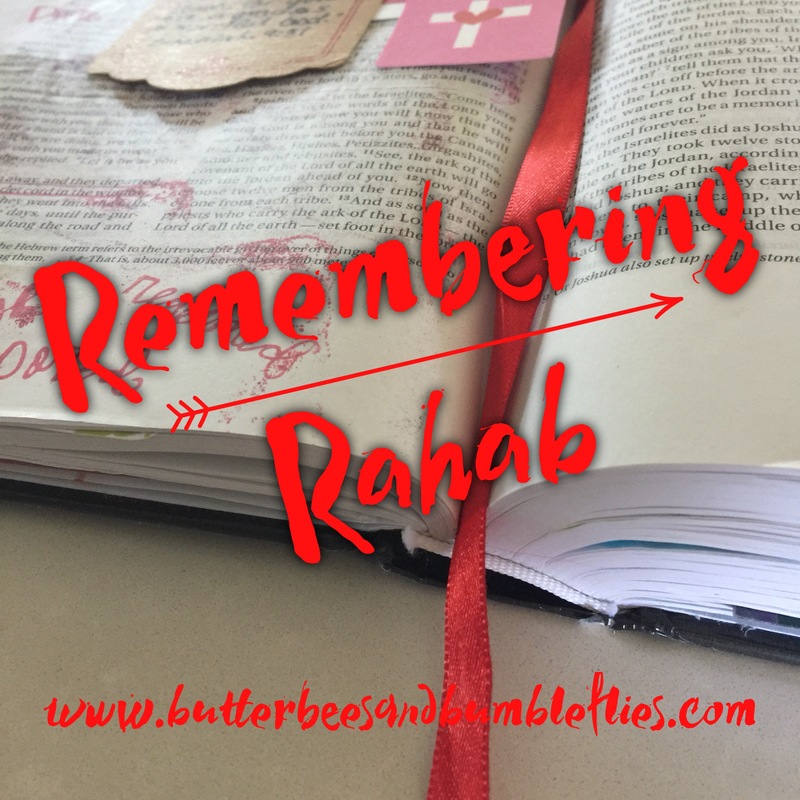 And Rahab knew everyone would be destroyed. The few friends she had. The family who didn’t trust her. Everyone. But the men had promised her and all in her house salvation. Because she displayed her sin. The scarlet cord flapped in the hot breeze… an ever present reminder of every sin- her very own “Scarlet Letter,” ages before the book would ever be written. Those sins would soon be gone. Her past would be merely a memory. If the men had been right. She prayed they were right. She trusted their God to save her. And because of her faith, she played a vital role in the lineage of Jesus Christ. She, a prostitute. She, who was not a Jew. She, with all of her flaws, shares a place in His history with the likes of Naomi and Mother Mary. She is a perfect example of being set free from our stains. We are all human. And no matter what we have done, with simple faith, He waits to take that cord from our window and cleanse it in the sweet bleach of His death and resurrection. All we must do is ask Him to take our mountain of dirty laundry, and He’s there, to clean every spot. His death, and even more, His resurrection, takes my Mount Laundry and makes it no more; takes my scarlet cord and washes it white as snow. UPDATE: As of March 27, this kit is ON SALE FOR ONLY $7! Order now to cash in on this great deal! Friends, I have been working on this kit for what seems like forever! I’m so glad to finally be ready to share it with you!! So many people ask me about my monthly meal planning, how it works, and how it saves my family money… so I decided to share my secrets with everyone! Check it out! Click the photo to order your kit now! You’ll get the binder cover and directions/opening letter, a checklist for your tasks, along with a complete set of March-December 2017 calendars that are ready to print and write on. You also get list sheets to record what’s in your freezer, fridge, and pantry, and list sheets to record your family’s favorite meals and new recipes you want to try. 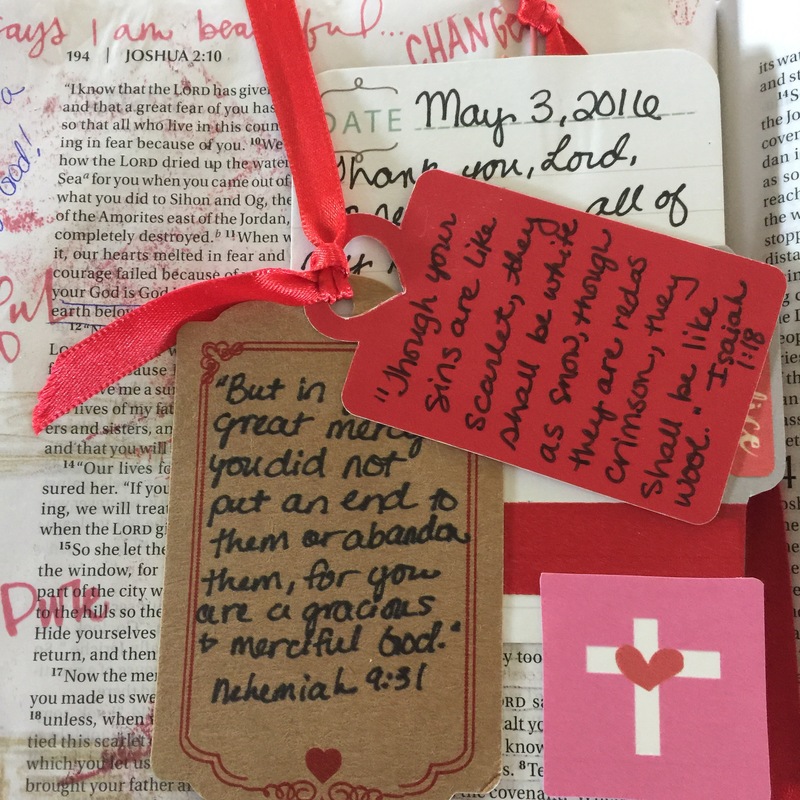 Exclusively this right now for Lent, you also get access to five printable Bible verse cards that are available in either black and white or color for whichever printer format works best for you. Simply follow this link, order your “ticket,” and the link and password will be emailed to you within 24 hours so you can open the files!